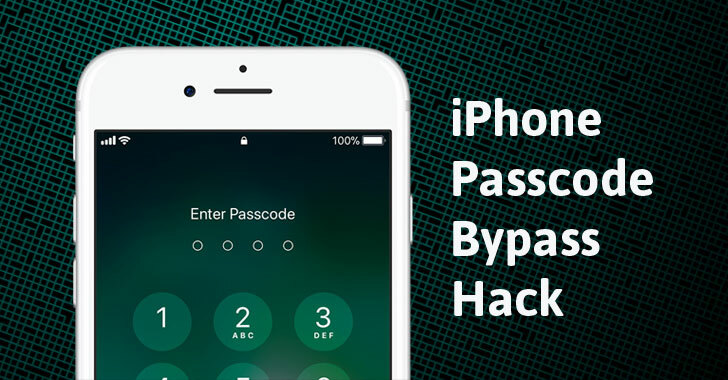 Looking for a hack to bypass the passcode or screen lock on iPhones? Jose Rodriguez, an iPhone enthusiast, has discovered a passcode bypass vulnerability in Apple’s new iOS version 12 that potentially allows an attacker to access photos and contacts, including phone numbers and emails, on a locked iPhone XS and other recent iPhone models. Rodriguez, who also discovered iPhone lock screen hacks in the past, has posted two videos (in Spanish) on his YouTube channel under the account name Videosdebarraquito demonstrating a complicated 37-step iPhone passcode bypass process. The iPhone authorization screen bypass flaw works on the latest iPhones, including the iPhone XS, running Apple's latest iOS 12 beta and iOS 12 operating systems. As you can watch in the video demonstrations, the iPhone hack works provided the attacker has physical access to the targeted iPhone that has Siri enabled and Face ID either disabled or physically covered. Once these requirements are satisfied, the attacker can begin the complicated 37-step iPhone passcode bypass process by tricking Siri and iOS accessibility feature called VoiceOver to sidestep the iPhone's passcode. Soon after Rodriguez released his videos, a tech channel on YouTube under the handle EverythingApplePro published a video in English explaining the same passcode bypass hack on iPhone XS. This iPhone passcode bypass method potentially allows the attacker to access the contacts stored in the iPhone, including phone numbers and email addresses, and to access Camera Roll and other photo folders, by selecting a contact to edit and change its image. Though Apple has some built-in security measures to prevent this from happening, Rodriguez found a way to bypass those security barriers, as you can see in the video. The passcode bypass methods work on all iPhones including the latest iPhone XS lineup, but the company does not appear to have patched the vulnerabilities in the latest iOS 12.1 beta. Go to the Settings → Face ID & Passcode (Touch ID & Passcode on iPhones with Touch ID) and Disable Siri toggle under "Allow access when locked." Of course, disabling Siri would cripple your iOS 12 experience, but would prevent attackers from abusing the feature and breaking into your iPhone. Meanwhile, just wait for Apple to issue a software update to address the issue as soon as possible. iPhone passcode bypass hack has become common over the last few years and appears almost after every iOS release. An iOS 9.3.1 passcode bypass was found last year, allowing an attacker to bypass Siri to search Twitter and gain access to locked iPhone's photos and contacts.